Notes: CMP. 200 Pro Coy. 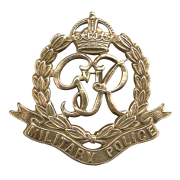 Elisted in the Royal Corps of Signals, 25/4/41 transferred to CMP. 28/4/45 Died. He was born and resided in Yorkshire. Unit War Diary, 200 Pro Coy CMP, WO 170/70140. He was shot when checking 2 Italian men and 2 women who were breaking curfew. 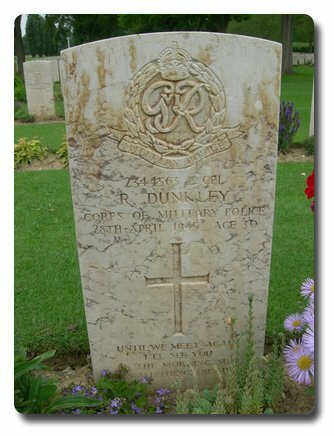 The two men drew pistols and opened fire on L/Cpl Dunkley killing him and severely wounding his companion. Inscription on gravestone: Until we meet again I'll see you in the morning sun and in all things beautiful. Ronald Dunkley.